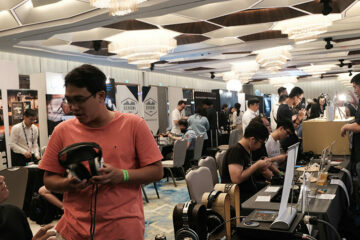 Andy Kong and the Cayin team made their annual pilgrimage to CanJam Singapore. 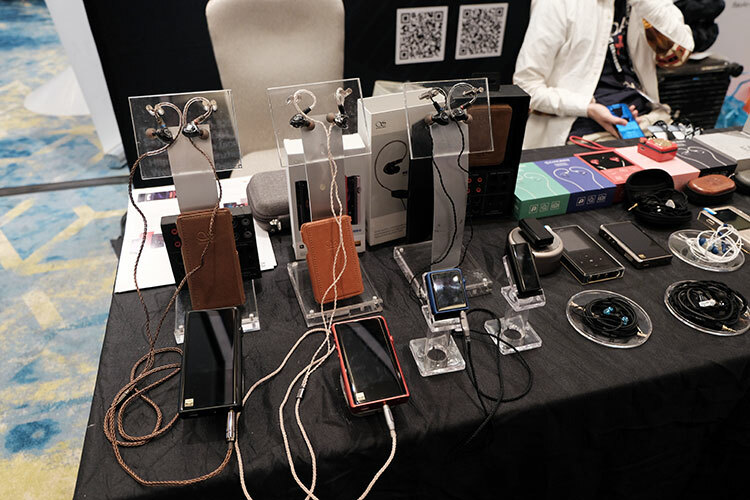 I believe they have been at every single one and each year they always have something cool and interesting to show off on the portable audio side. 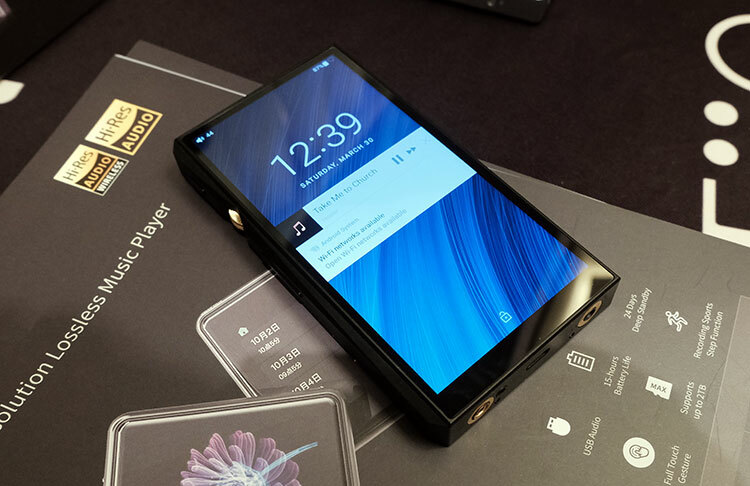 2017 was the N3, 2018 was the N5ii and in 2019 we had the new Black Brass edition of the excellent N8 DAP. I love the N8 sound. It has soul, power and a wealth of connectivity options to channel that sound, be it a system component or a portable device. It is a cracking DAP. However, the Black Brass edition is even smoother, better for vocals with a little bit more texture and a slightly wetter edge than the N8. I did not think that was possible, to be honest. It also looks pretty slick. Now I am a firm admirer of the silver look but up close Cayin have done some subtle design changes that smoothed the corners a bit more and made the handling a lot nicer. The supplied Dignis case is genius. Really holds everything well together and keeps those dials nicely protected. 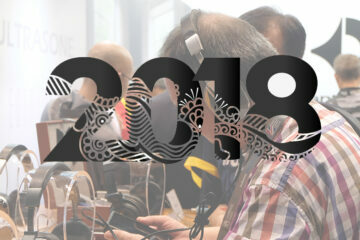 No CanJam would be complete without the attendance of one of the most prolific manufacturers in the audio business today, FiiO. 2019 also looks set to be perhaps one of their busiest years with the launch of no less than 7 different products on one single day a few weeks back. 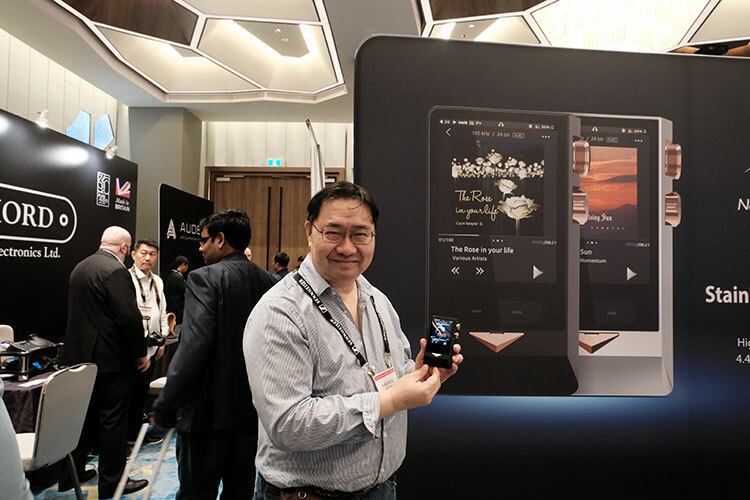 The product range is diverse from the X5 Mark III replacement called the M11, the next-gen Q5s amp/DAC, to the cute pint-sized M5, a new flagship FH7 hybrid monitors, a few new high-end amp cards, and a new cable. Way too much to demo all at one sitting and we will be pushing out reviews of just about everything they launched from our team as soon as we can. What impressed me right away was the M11, even from a purely physical point of view it looked really classy with a beautiful almost borderless screen which is miles ahead of anything they have done before. 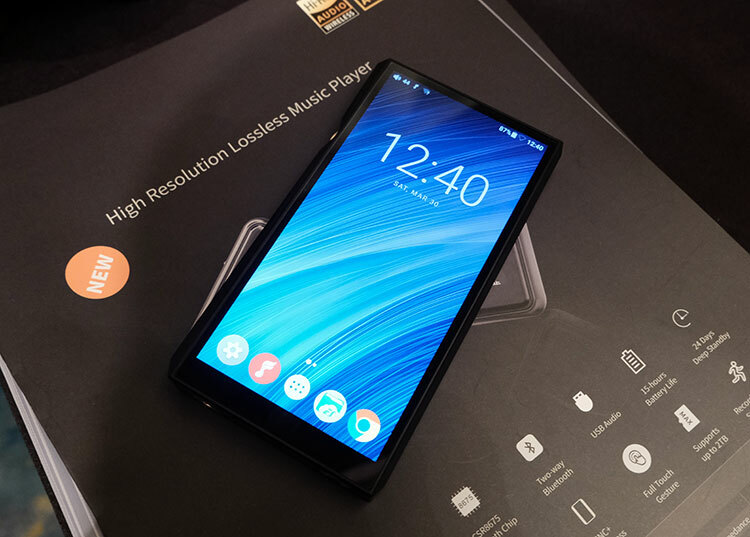 The new FiiO app is also installed out of the box which has come along in leaps and bounds since the clunkier version on the X5iii. 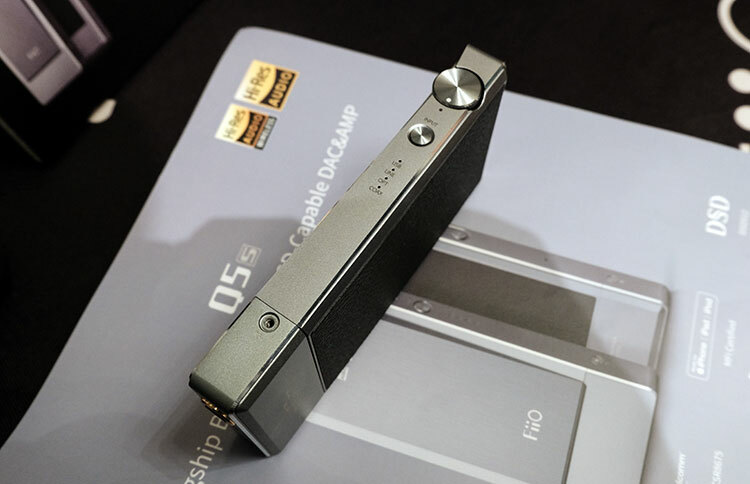 I was impressed with the new DLNA and FiiO Link features and feel FiiO have a really competitive app now when compared to the likes of HiByLink. The M11 boasts of 3GB of RAM, a 4.4mm balanced output, their new Samsung Exynos quad processor, 2 x AK4493 DACs, dual micro-SD slots, 32GBonboard memory, Android 7 (sadly), and a lovely 18:9 720P. Despite not having Android 8 it will deliver LDAC and easily decode PCM 32BIT/384kHz and DSD256. 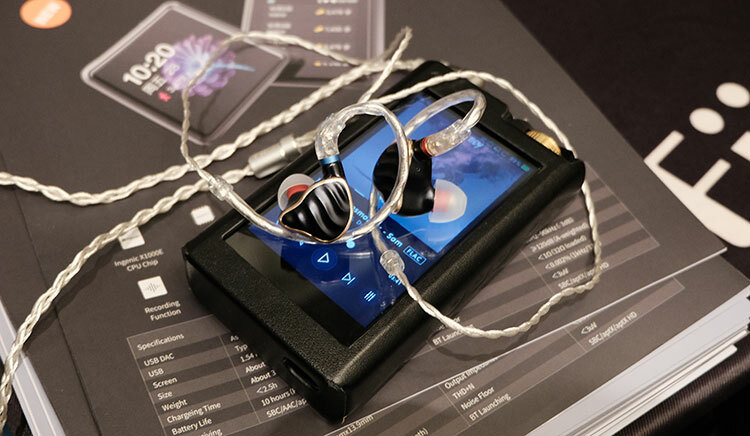 James will be reviewing the M11, not me and I do profess to be slightly envious because it is a great sounding DAP but a DAP nevertheless following the house sound of FiiO. What this means is a fairly natural sound and an improvement on the older metallic sound of the X5iii. It does not have a hard upper-mids edge and importantly, far lower noise floors. Admittedly I didn’t bring any noise kings to the show such as the Andromeda, however, the Layla and 64 Audio Trio sounded pretty quiet with the M11. I was looking forward to this since the FH5 sounded rather good already. 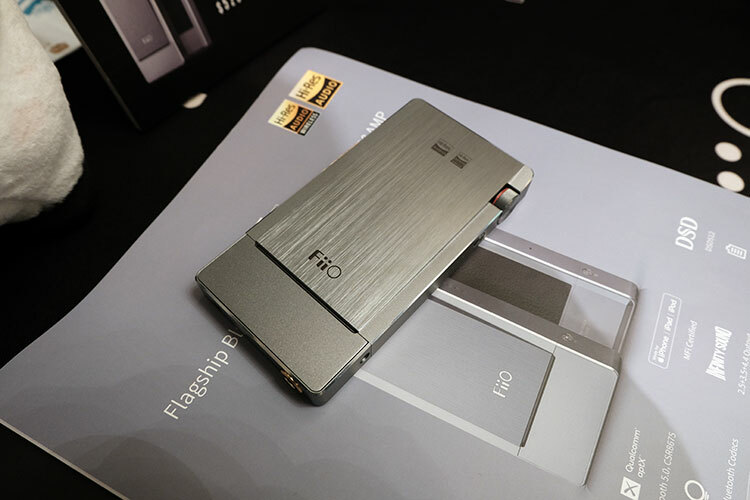 The FH7 is FiiO’s new flagship comprising of a huge single 13.6mm DD and quad BA for the mids and highs. It looks fairly similar to the FH5 but the fit is a little nicer. They had it hooked up to their new and very supple silver balanced 4.4mm cable which suited my Lotoo PAW Gold Touch nicely. The sound was a little more neutral from the FH7 from my initial impressions with a bit more treble extension. The mids are quite balanced also with a good vocal presentation. The low-end I don’t remember being huge but well controlled and perhaps a bit quicker paced than the FH5. Mind you with three filters (which I didn’t try) this could well be a reference setting and the other two might increase or decrease the bass depending on their settings. Definitely, want to compare this to the FH5 in more detail soon. Sadly, I never got near these two once for listening once the show got busy. We will review them however in due course so fear no! What I can say is the Q5s is a definite physical upgrade on the Q5 albeit missing the additional charging micro USB on the side. Now it just comes with one slot at the base. The build quality is slicker than before with fewer bumps and dips on the side panels so it does handle very nicely. You can see from the picture above the light system has now moved to the side to denote your connection setting, for example, coaxial., I will be interested to see any new casing for it and how they manage to keep that area clear to view the new LED light system. The FiiO M5 is impossibly cute and a direct competitor to the Shanling M0. It does pretty much everything the M0 can do but also a little bit more with some lifestyle options. The build quality is excellent with an IPS panel and 2.5D glass on top, which I am a huge fan of. 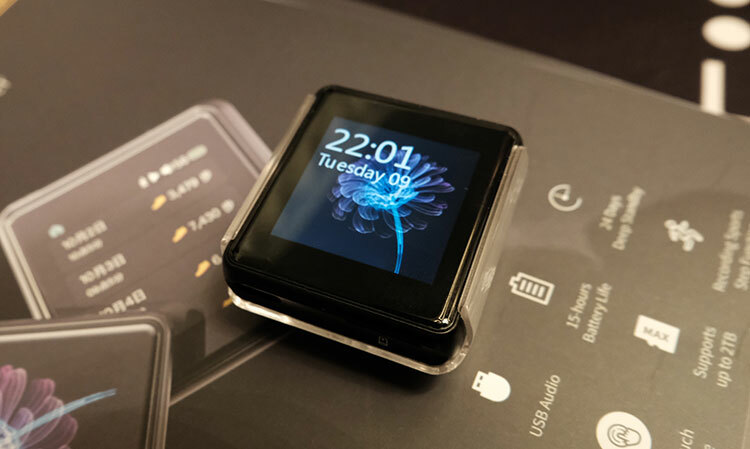 2.5D glass always enhances the pop on IPS panels, for example, the HiBy R3. There is more to it than that with an AK4377 as well as excellent Bt capability including SBC/AAC/aptX/aptX-HD/LDAC/HWA. If you want to upgrade from the BTR3 then the M5 at $99 is a good option. Mike will have his review on this shortly after the launch which I believe is in May or June. Practically the first booth I stopped at because Frantisek was up and about and looking rather up for the show! Considering these guys were setting up til around 4am in the morning that is some going. 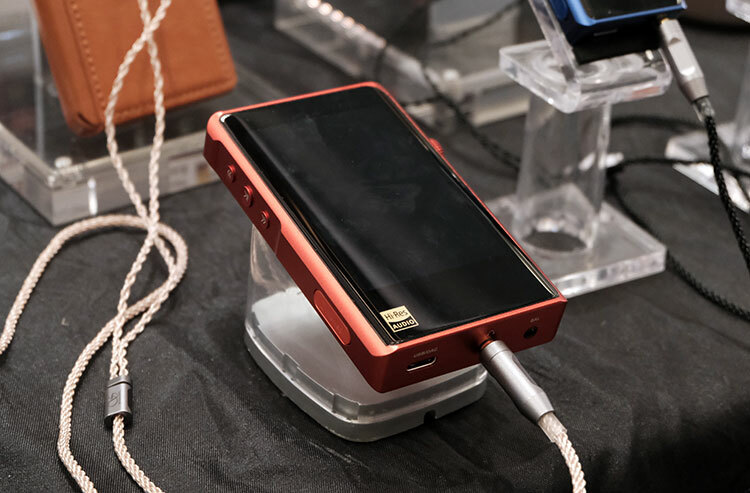 The Shanling display was compact but pretty comprehensive with their full line-up including their new M2X DAP and a little BT Dongle called the UP2 Bluetooth DAC/AMP. I have to admit, the M2X looks pretty stylish, more so in real life than any pic. The design is a little more accommodating for the physical buttons and miles easier to use than the older M2s. The Output impedance is also down to 1Ω which is spot on considering the older M2s had a rather high 4+Ω output impedance rating and messed about with my Andromeda during testing a few years ago. 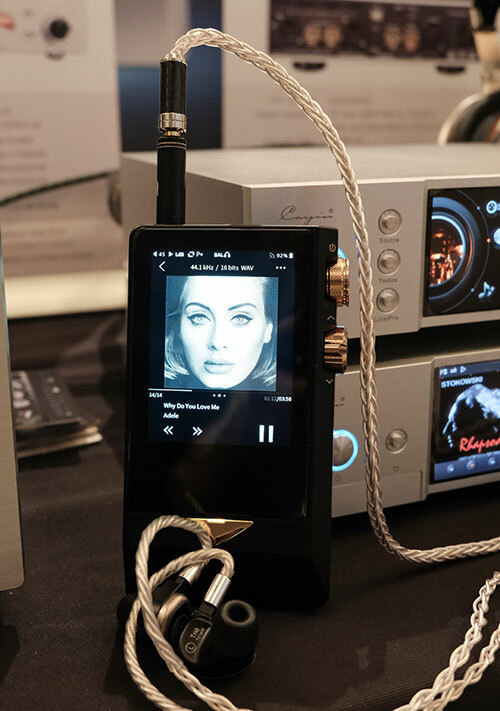 the DAC inside is an AKM AK4490EN DAC which is a bit long in the tooth but normally can deliver a robust and musical signature. There are plenty of features on the M2X though with WiFi, DLNA, BT4.2 bi-directional support, and their MTouch 2.0 interface. I believe it will be around $200 or just slightly higher so this actually might be a good deal. Nathan will be coming out with his full review I suspect in early May.